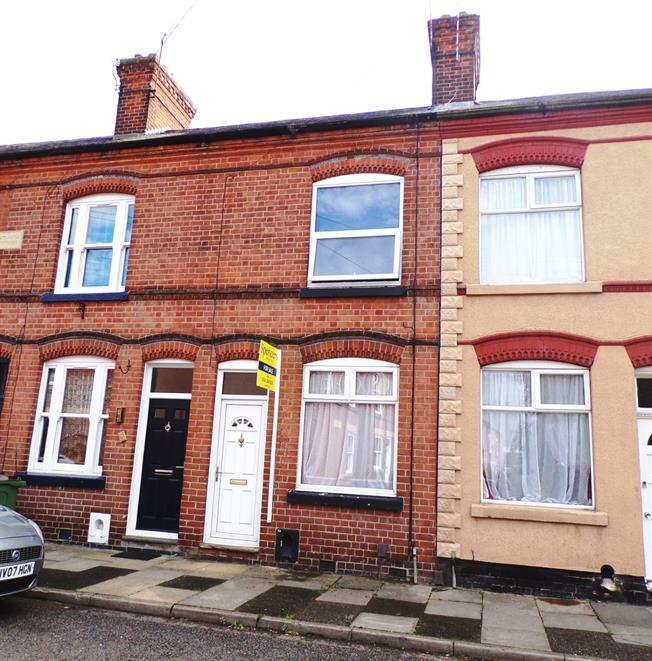 2 Bedroom Terraced House For Sale in Wigston for Offers Over £130,000. Spencers are delighted to offer for sale this very well presented terraced property situated in South Wigston. The property is well maintained, the accommodation comprises of, lounge, dining room, kitchen, downstairs shower room, to the first floor there are two double bedrooms, to the rear is a low maintenance courtyard garden which is private and enclosed by timber fencing. UPVC double glazed door. Double glazed uPVC window facing the front. Radiator, built-in storage cupboard. UPVC double glazed door, opening onto the patio. Radiator. Double glazed uPVC window facing the side overlooking the garden. Radiator, vinyl flooring. Roll top work surface, wall and base units, stainless steel sink, integrated oven, gas hob. Double glazed uPVC window with obscure glass facing the side. Heated towel rail, vinyl flooring. Low level WC, double enclosure shower, wash hand basin. Double glazed uPVC window facing the rear overlooking the garden. Radiator, built-in storage cupboard and boiler. To the rear of the property is a pretty courtyard garden which has recently been block paved, the garden is not overlooked therefore offering high degrees of privacy, enclosed by timber fencing with rear gated access.